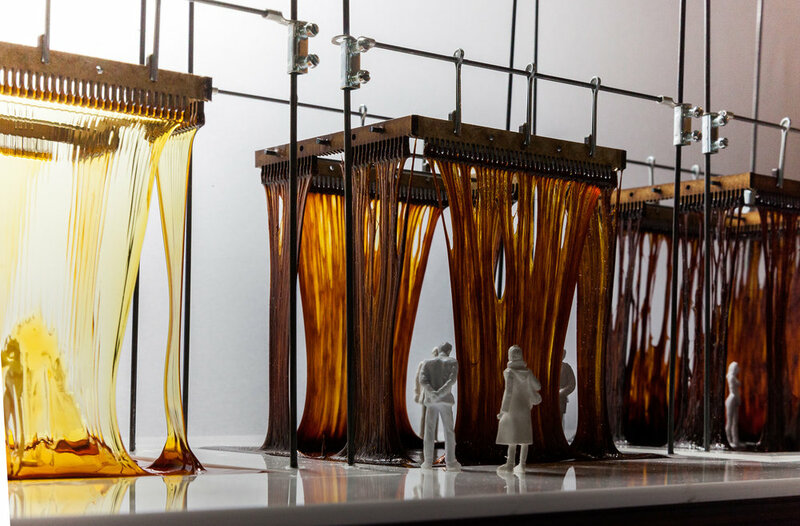 An experimental architecture installation project using caramel to create an immersive sugar sculpture. The project was designed for Tate and Lyle Sugars to promote their speciality sugars. The brief for this project was to create a dramatic and unique PR and marketing event to celebrate and promote the unique characteristics of Tate and Lyle’s speciality Sugars. 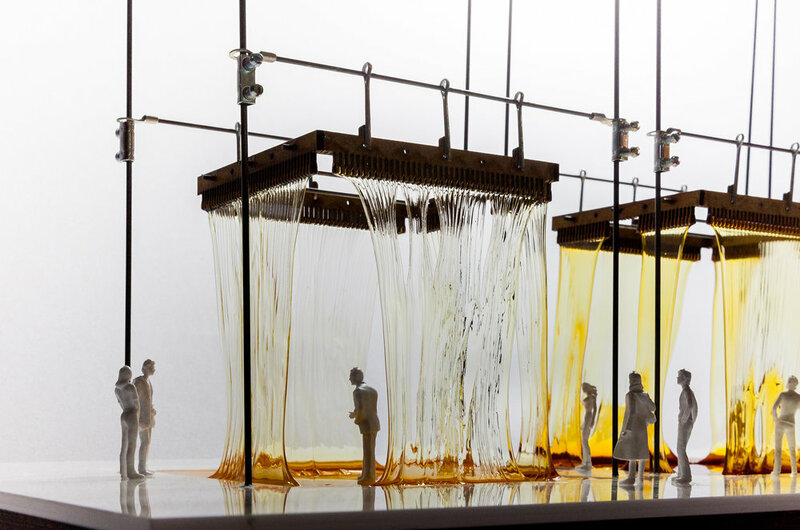 Conceived as a piece of experimental architecture, the project was inspired by the theatrical process demonstrated by a Pâtissier creating pastry decorations from pulled caramel. 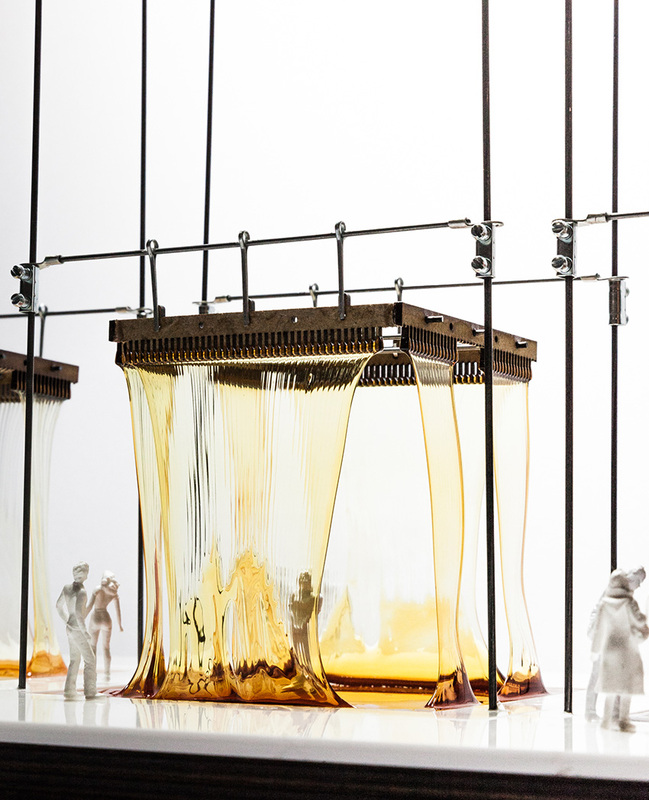 The project aims to explore these unique characteristics of sugar at an architectural scale to create a multi-sensory spatial experience. 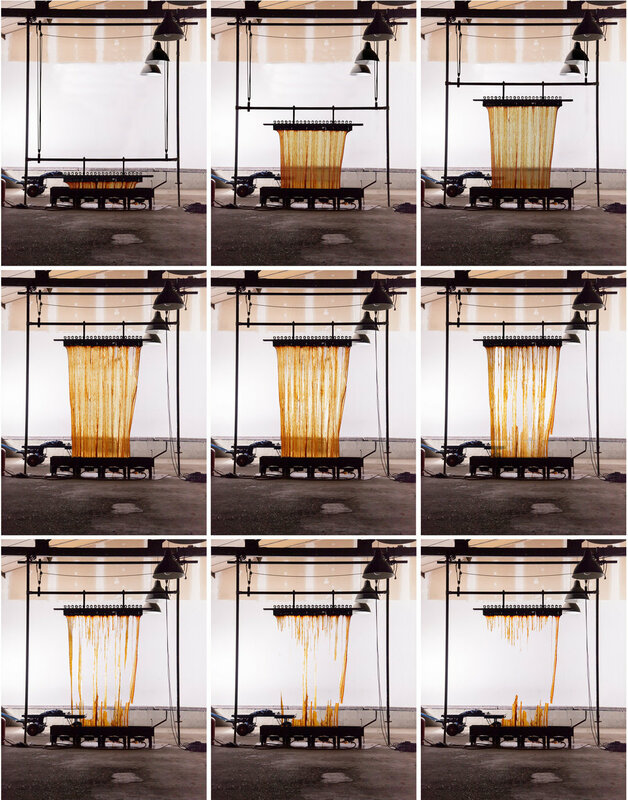 To achieve this concept, we developed a spectrum of coloured caramels formed from recipes using Tate and Lyle sugars. Each caramel celebrates the unique tasting characteristic of the particular sugar it is formed from. 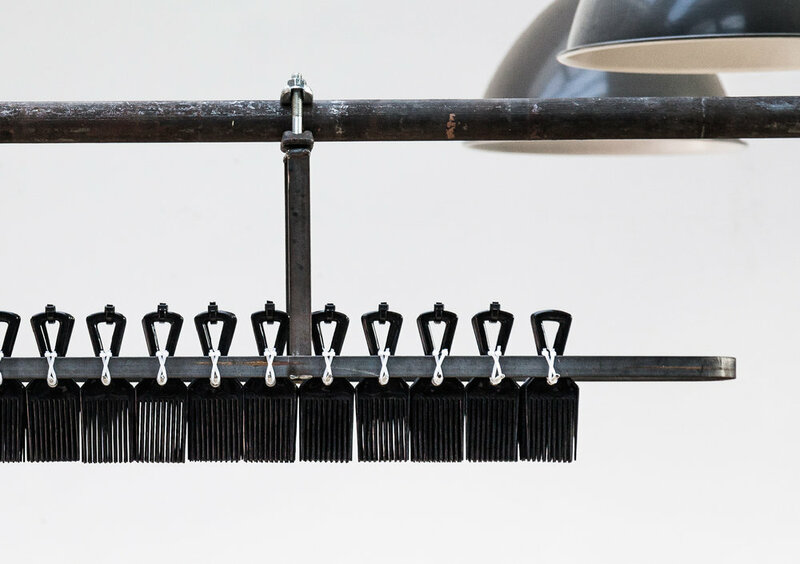 We have also designed and developed bespoke tools including a caramel pulling instrument. The life of the Caramel Rooms begins as unsuspecting sacks of sugar. 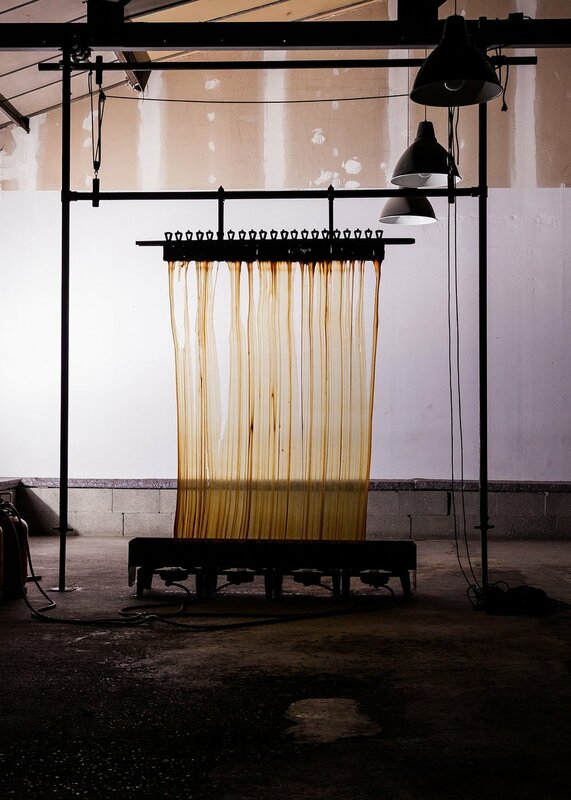 Through a breathtaking performance of heating, melting, stirring, pulling and cooling, the sugar transforms from sugar in its particle form into a series of fragile golden structures with glass-like properties. Whilst cooling, they fracture, crack, tear, and make associated noises. Over an extended period of time, the caramel disintegrate and become sticky due to its hydroscopic properties.